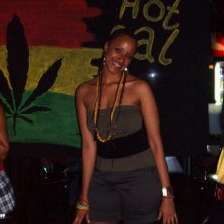 Naram is a reggae selector, producer and promoter from Mt Crook, Wellington. 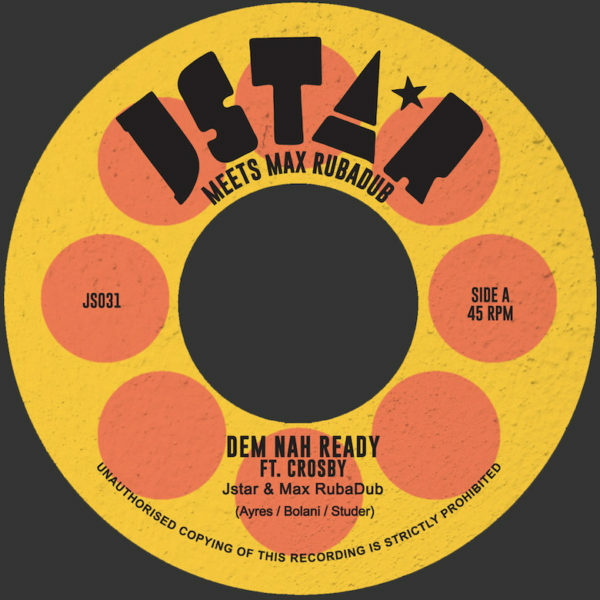 Though he has nuff love for loads of music from across the spectrum of Jamaican (and outernational) soundsystem culture, he has a particular penchant for the sound of early 80s rub-a-dub and later 80s digital dancehall. 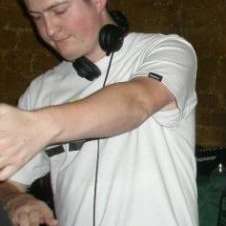 He cut his teeth as a selector playing gigs in his bedroom alongside his longtime cohort Colonel Mustard (also known as Pranks) before teaming up with the NiceUp Crew as well as Vital Sounds Hi-Fi in 2009. In 2010 Naram threw his hat into the promotion game, setting the wheels in motion for the highly successful Mungo’s Hi Fi tour. Naram then decided to flee New Zealand for Australia with a bicycle named Leroy. He rode his bicycle roughly 40,000km, from Adelaide in South Australia to Glasgow in Scotland (taking ferries to bridge the waters of the Indonesian Archipelago and English Channel). The trip saw him ride through more than 30 countries including East Timor, China, Kazakhstan, Tajikistan, Turkmenistan, Iran and Iraq. 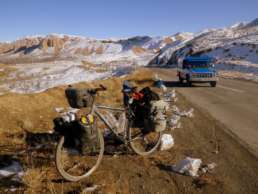 During the course of his two-and-a-half year bicycle trip he slept in a small tent, cooked noodles on a pint-sized multi-fuel cooker and produced digital reggae on his iPod Touch using an app called NanoStudio. Surprisingly, the limitations of his music production set-up provided a creative spark and he managed to produce some pretty good riddims that eventually found their way into the hands of Jahtari head honcho Disrupt. 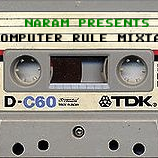 See this video (5.38 minutes onwards) to hear a riddim Naram made in his tent while cycling across Turkey dropped by Disrupt at a gig in Paris. Naram returned to Wellington about a month ago, and he is now focusing on wasting his last remaining pennies on obscure digital dancehall 7”s and vintage Japanese synthesizers. He has also recently joined forces with Melbourne-based Kiwi L Que, producing riddims for Echo Chamber Sound. Big up to Naram for his Top Ten tunes for cyclists. Pon two wheels really is the best way to move; “it’s better than any damn motorvehicle, it’s more economical – it’s easy to flash, it don’t use battery – it don’t use gas”. It really will improve your life, as Don Angleo eloquently explains in this obscure piece of mid-80s proto-digital rub-a-dub. Before you can derive the benefits of the humble bicycle, you’ll haffi learn how fi ride the damn thing. Easier said than done for first-timers. But as the Wild Apache knows, once you’ve learn fi ride it becomes second nature. After you’ve grasped the rudiments of balancing a moving bike, you should probably familiarise yourself with the components of the bicycle. Two of the most important elements are the pedal and wheel, as the youthful Ninja Man explains on this wicked piece of wax from top-a-top New York label Wittys. If you plan to ride long distances in remote territories – you’d better learn some of the basics of bike maintenance. But as Johnny Osbourne knows, it’s not always a clean business – especially when you’re dealing with a problematic chain. One of the most pleasant times of day to enjoy a brisk pedal is, of course, the morning. The glorious soft sunlight and the quiet roads make riding a treat, as Jamaica’s most famous albino explains on this wicked Roots Radics riddim. As you progress with your bike riding skills and gradually grow more confident, you might like to learn some tricks to impress fellow iron horse-enthusiasts. In this lovely Jah Thomas-produced track, Early B the doctor suggests some tips on learning the art of the classic ‘wheelie’. By this stage you’ll no doubt have grown to love cycling so much that you’ll look to introduce some of the popular bicycle-themed Jamaican dance moves into your repertoire. While the ‘bike back’ popularlised by Vybz Kartel might be the more obvious choice, I would be more in favour of following the directions laid out by the sadly-deceased Copper Cat who was aged 10 when this hit dropped back in 1999. I should stress it’s vital not to grow over-confident on the bicycle, because it can be a dangerous business. You don’t want to end up like poor old Eek-a-Mouse who, as described this tune, was left seeing stars after being ‘knocked down by a motorcycle’. I was also unfortunate to be hit by a truck while cycling in Turkey (scary stuff) but I was not severely injured because like Eek, ‘luckily I was jah jah disciple’. If like myself (or the aforementioned mouse) you are involved in a traffic incident on your bike, you might be pretty shaken up. Indeed, you might wish to ditch the bike and opt of the false security of a motor vehicle. In that case, refer to the inimitable Lone Ranger’s advice. Mind you cars are bloody expensive; so if you really can’t hack cycling, economically-challenged individuals like myself might just have to opt for the dollar van ride.